TerraCom’s international focus currently rests in Mongolia with all interests currently held through a Mongolian subsidiary, Terra Energy. 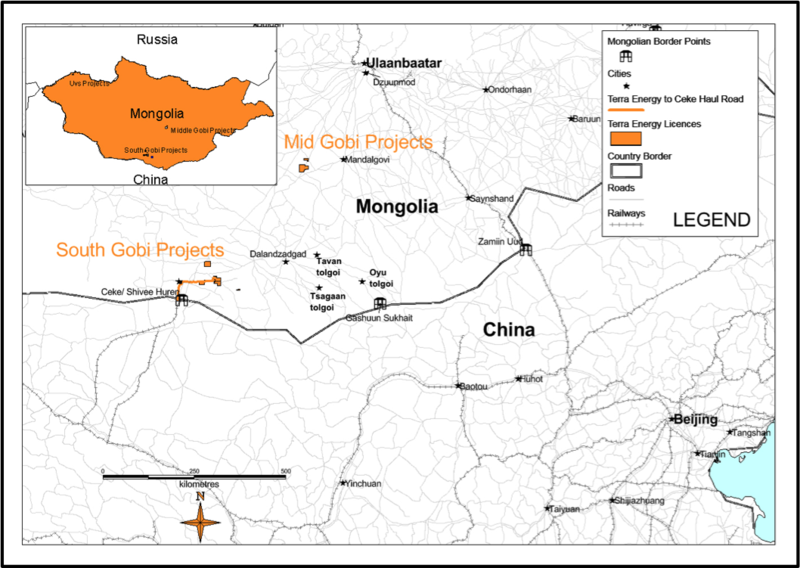 Terra Energy controls both thermal and coking control tenements located in the coal bearing basins of the South and Middle Gobi. Production occurs at the Baruun Noyon Uul (BNU) coking coal mine located in the South Gobi. Mining ramp-up is progressing well, and the team has recently achieved a safety milestone of 1 Million man-hours Lost Time Incident (LTI) free. You may read the news releases here. TerraCom has recently secured offtake agreements with 2 end-users in China, JISCO and Haohai, to sell coking coal produced at the BNU site. You may read the news release here. The company has also announced the signing of a Memorandum of Understanding (MoU) to acquire an 80% stake in a large thermal coal and associated power station project in central Mongolia. You may read the news release here. TerraCom’s goal is to become one of the largest and highest quality coking coal producers in Mongolia, providing exceptional value for its steel-producing customers. CDO Julien Lawrence on Bloomberg Mongolia.